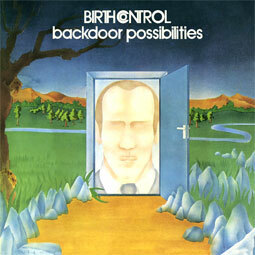 The Boutique Label presents an expanded vinyl edition of Backdoor Possibilities, the sixth album by cult German prog rockers Birth Control, originally released on the Brain Records imprint in 1976. 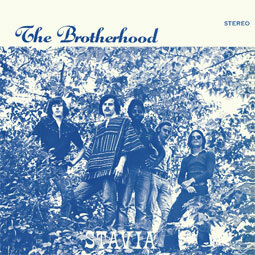 Formed in Berlin in 1968, Birth Control were known for a progressive hard rock sound which fused elements of jazz, psychedelia and so-called Krautrock. 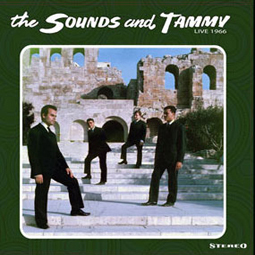 A surreal concept suite recorded with famed producer Conny Plank, Backdoor Possibilities arguably marked a final creative peak, blending rock, jazz, classical and avant-garde stylings with intricate polyrhythmic textures and lyrical nods to the legends of Faust and Odysseus. On Backdoor Possibilties core members Bernd Noske (drums, vocals) and Bruno Frenzel (guitar) were joined by keyboard maestro Zeus B. 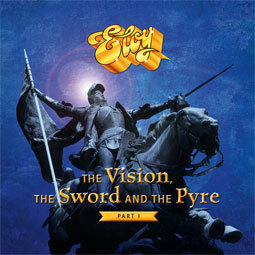 Held, who also features on two long improvised tracks featured on Disc 2, Figure Out the Weather and Shake Those Crazy Nights, both recorded with Conny Plank in 1976. All material on Disc 2 is previously unreleased, with third track Rock It With a Long Bone being another extended piece recorded at Dierks Studio in 1982.